Launched in July 2018, Dartmouth English Gin is made on the Calancombe Estate in south Devon. Creator Lance Whitehead wanted to create a classic gin with a contemporary twist, whilst reflecting the maritime heritage of Dartmouth and his family which has included shipwrights, master mariners and trawler men. 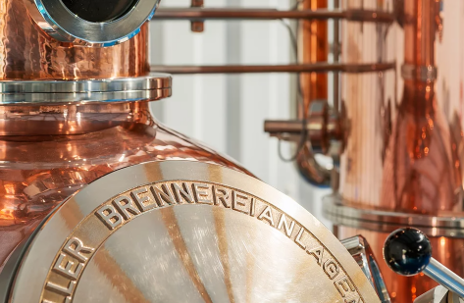 Dartmouth Distillery is home to a Muller still built in Germany's Black Forest, which Lance credits for being able to achieve an 'ultra-smooth' quality. "I have always loved gin. We planted vineyards and orchards on our small farm near Dartmouth, a few years ago, and have always intended to make spirits from the fruit that we grow." For more gins featuring traditional and citrus botanicals alongside rose and lavender, try Pin Gin and Anno Gin. For more gins from Devon try Thunderflower Gin and Plymouth Gin.